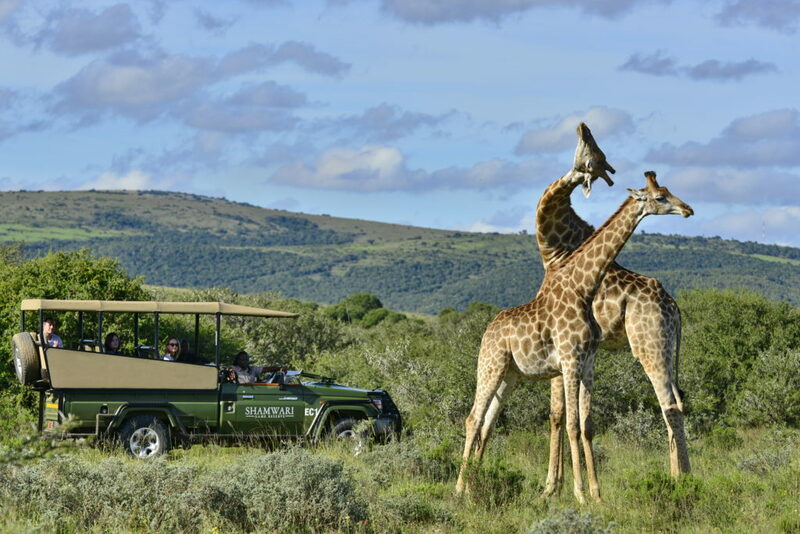 Giraffe are the tallest mammals on earth. 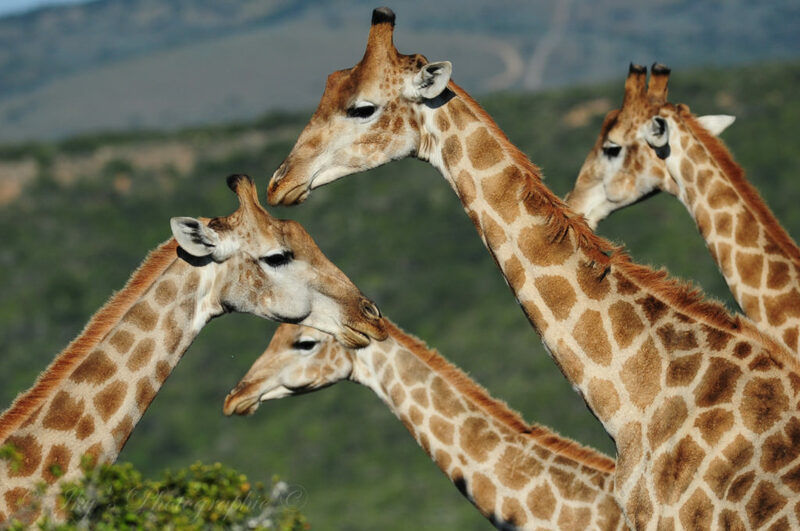 Despite their height, they only have seven vertebrae in their necks, the same number of bones as a human neck. Their legs alone are taller than most humans. They can run as fast as 56 kilometres an hour over short distances. 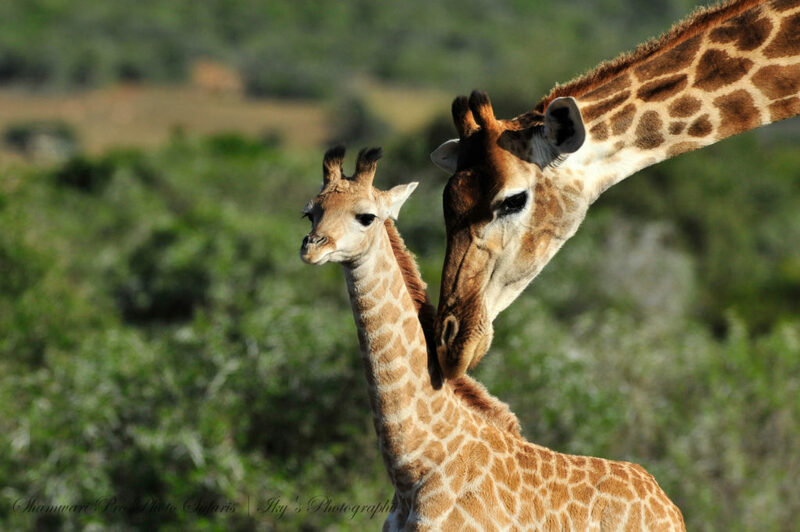 A giraffe’s heart weighs about 11 kilograms! It must generate almost double the normal blood pressure of other mammals or humans in order to pump blood all the way to its brain. They only need to drink water once every few days as they get most of their water from leaves. Fortunately for giraffe, as it is very dangerous for them to drink water. Their neck is too short to reach the ground, so they have to spread their legs and bend down in an awkward position that makes them vulnerable to predators. Giraffe are herbivores, so they only feed on plants. They can eat up to 45 kilograms of leaves and twigs in one day! They love acacia tress which have spiky thorns. They have a ridiculously long tongue too. It’s blue/purple in colour and can grow to about 50 centimetres long! It helps them reach the fresh leaves on treetops. Their spots and skin patters are unique, like humans’ fingerprints. No two giraffe have the same pattern. Surprisingly, a giraffe’s spots assist with camouflage and with thermoregulation. Giraffe need minimal sleep. They get by on just 30 minutes of sleep a night, on average. It’s the shortest sleep requirement in the entire animal kingdom! Males and females have what looks like horns on their head. These are called ossicones. They are formed from ossified cartilage. Females’ have thin and tufted ossicones while males normally have thicker ossicones that become bald on top as a result of frequent necking. Males (bulls) fight for dominance by repeatedly swinging their long necks and heads in powerful blows. This is called necking. Often, it ends when one animal submits and walks away. However there have been instances where they fight to the death. 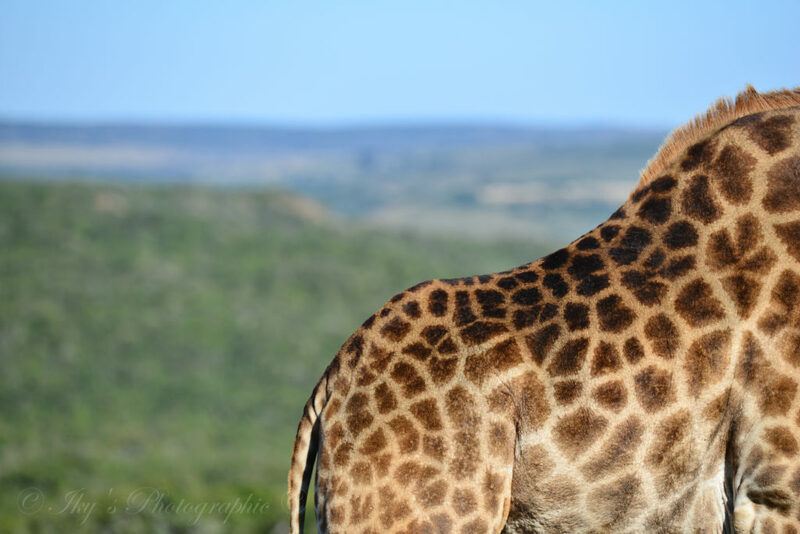 Giraffe chew on bones for calcium and phosphorus lacking in their diet. The bones are manipulated in and out the mouth by the tongue while being sucked and chewed. This is called ostephagy. These incredible animals have been classified as vulnerable on the IUCN red list. Their population has been decreasing drastically over the last couple of years due to habitat loss, illegal hunting (poaching), civil unrest and ecological changes. Just love this website. So informative. I hope i can get back there one day. Thank you for your wonderful comment, Suzanne! Thankyou for this information, o adore Giraffe! Thank you very much about this important information about the giraffes.